Hello, and Thank you for stopping by today! It's been a while since I've shared pictures of our home here on the blog, in fact, I haven't shared our home at all this new year. The main reason for this is that I felt that I needed to take some time off from blogging and focus on my goals for the new year. After much thougth and several new Pinterest boards. I have discovered that I want to take our home in a new direction this year. My quick definition for the phrase Zen Living is: to create a harmonious and peaceful home that is relaxing and inspires the spirit of Zen. 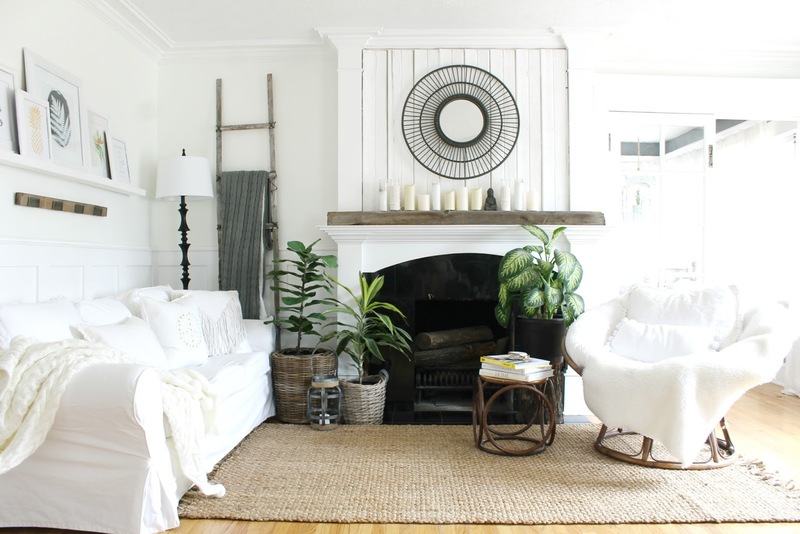 My intentions for The Wicker House this new year is to focus more on Zen Living and share with you simple ways in which you can also invite Zen into your own homes.. With the chaos of everyday life, I think we all could use a little more Zen in our lives and Homes. Agree? 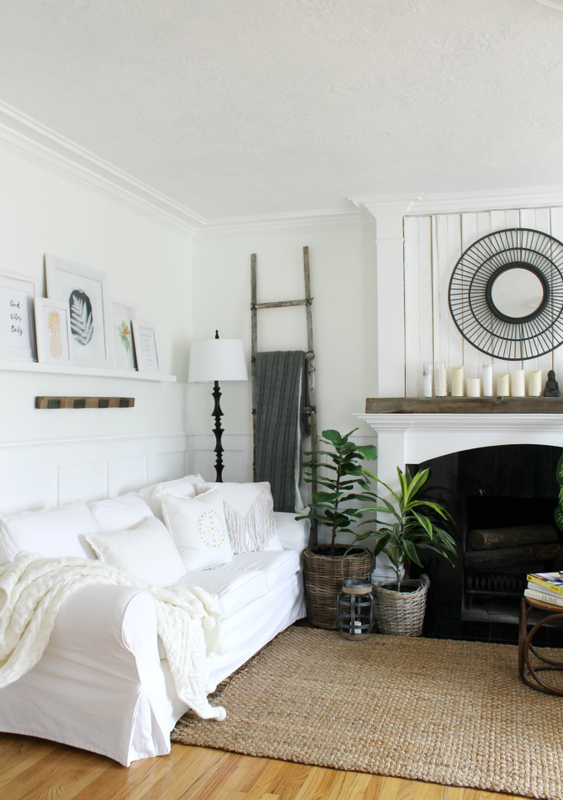 Today, I want to show you around our Living room and share a few details that I consider to be aspects of Zen Living. Let's start with my new rug from Natural Area Rugs. 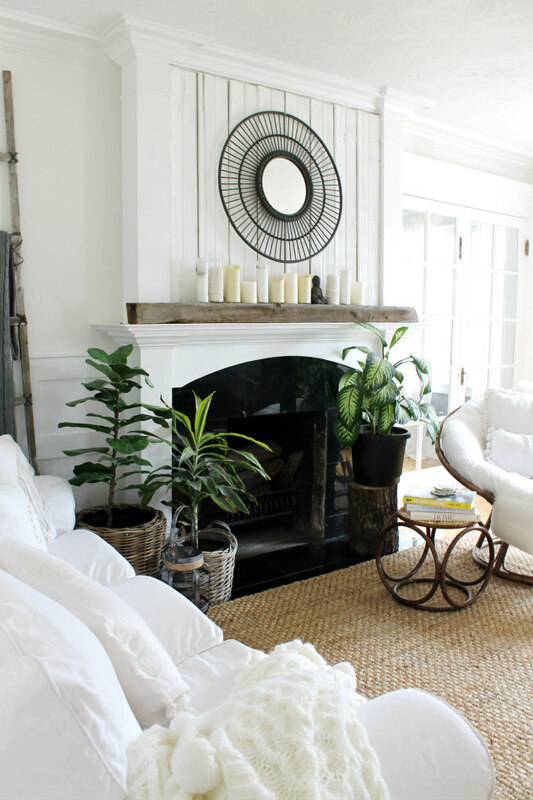 Natural Area Rugs offers a wide selection of affordable natural fiber rugs, such as sisal, sea grass, jute, and many more. All of their rugs are made in the USA with fast and free shipping. 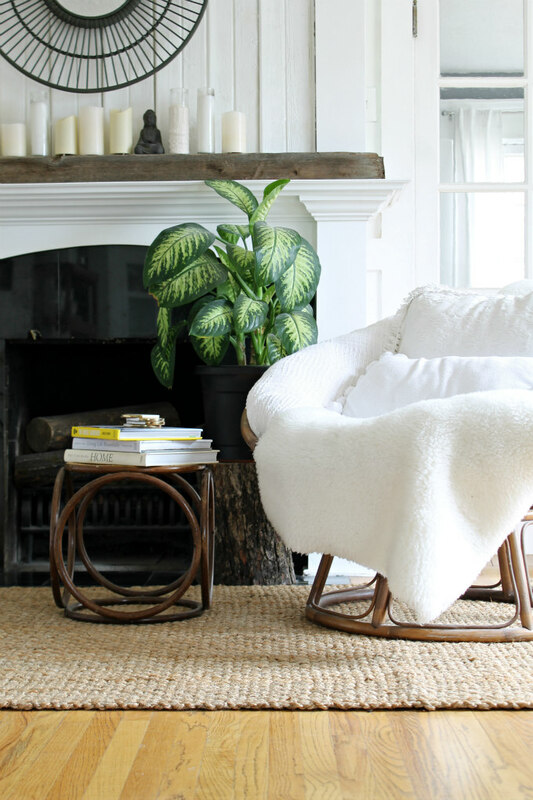 If you are in the market for a new rug, I highly recommend Natural Area Rugs. 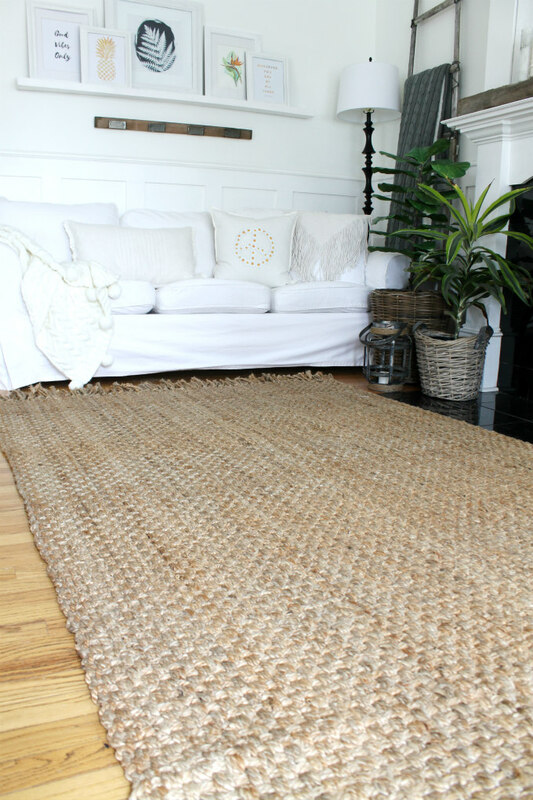 I chose the Paloma Jute Rug for our living room for a few different reasons. 1. Jute is an earth-friendly material which means there are no chemicals or artificial dyes. And 2. Jute feels soft on bare feet. Those are two things that are necessary for Zen living, natural materials and bare feet. I'm so pleased with my new rug. 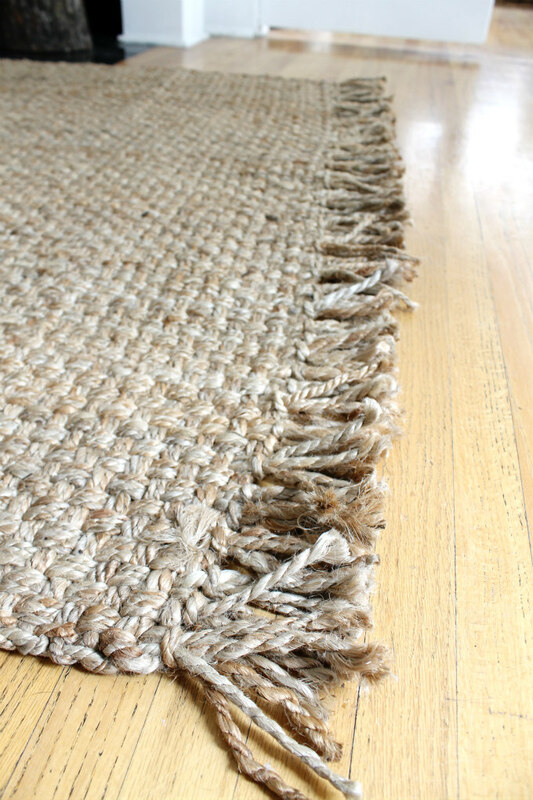 One of my favorite detail about this rug is the fun frayed edges on each end. 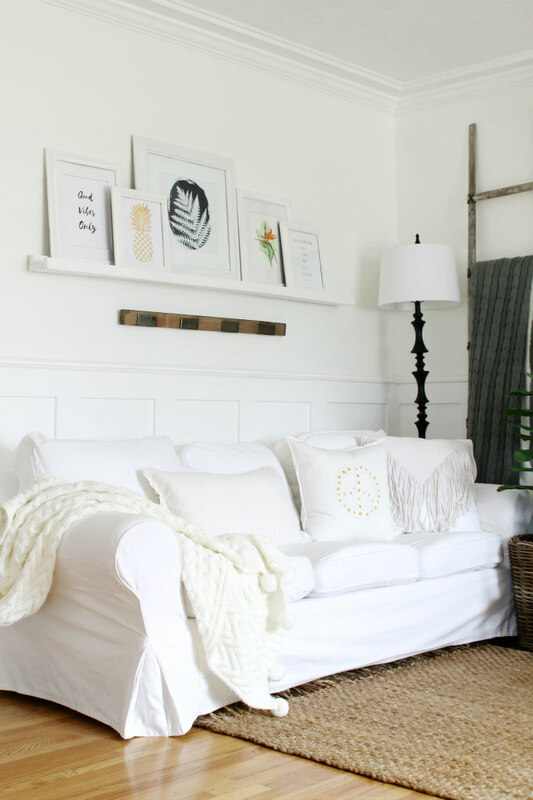 Because Zen Living is about creating a soothing space, I stuck to a neutral color palette in our living room. But this does not mean that you can't use color for Zen Living. I find neutrals to be calming, but color can very much be calming as well. I think it really just matters on what colors you feel calm around. Plants are another aspect of Zen Living. I'm sure you are already familiar with all of the wonderful benefits of owning house plants. The more plants you have the cleaner the air in your home will be to breath. I plan to continue adding more plants into our home throughout the year. And lastly, I added some new artwork to my DIY Picture Ledge. The large leaf silhouette print came from Home Goods. The bird of paradise art is a painting done by my husband's grandpa and all of the others are all free printables that I found while searching on Pinterest. 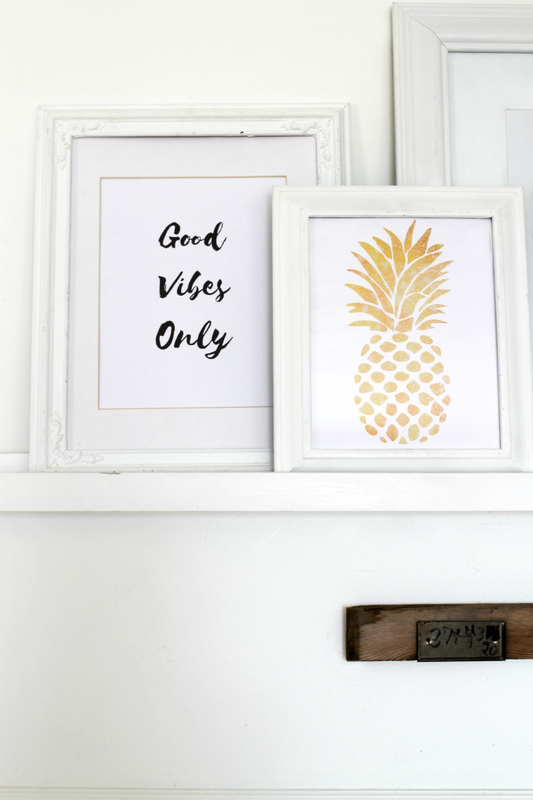 The "Good Vibes Only" printable can be found HERE. The gold Pineapple printable can be found HERE. 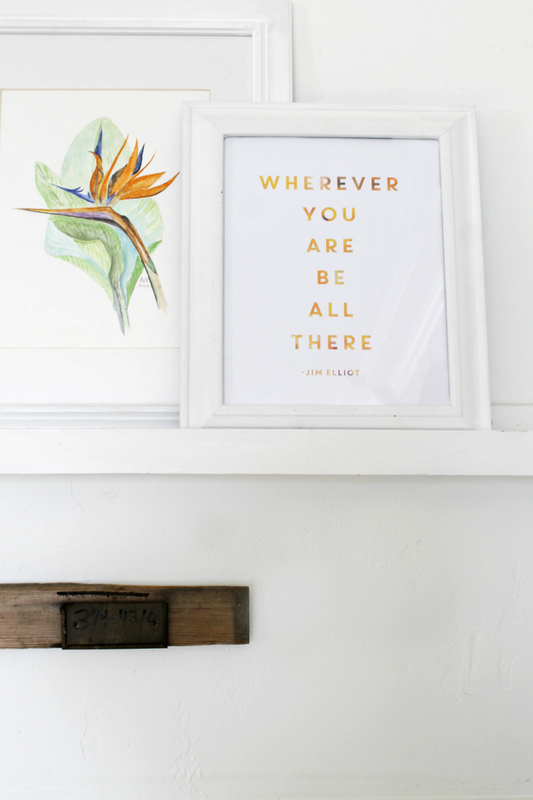 Okay, and now this "Wherever you are be all there" printable can be found HERE at Mountain Modern Life. 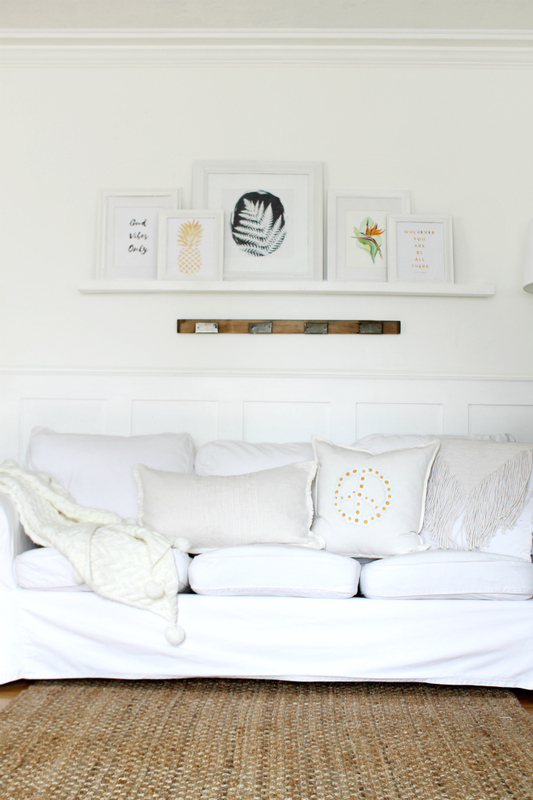 I stopped by for the free printable but fell in love with the blog. Mountain Modern Life is the journey of an adorable couple, Eric and Katie, who live and travel in the most amazing RV. Katie created this free printable as a reminder to practice being present. Katie also mentions the book, "The Power of Now" by Eckhart Tolle and how it helped her. Ironically, I just finished reading this book, and in fact, I'm re-reading it for a second time because it is so eye-opening. Have you read it? This moment (NOW) is the all that matters. Zen Living really is just about creating a peaceful home that helps you to be present and enjoy the moment. Living in the moment is how you achieve Zen. Do you have any thoughts you would like to add? I'd love to hear them in a comment below. As always you can also find The Wicker House on Facebook and Instagram.